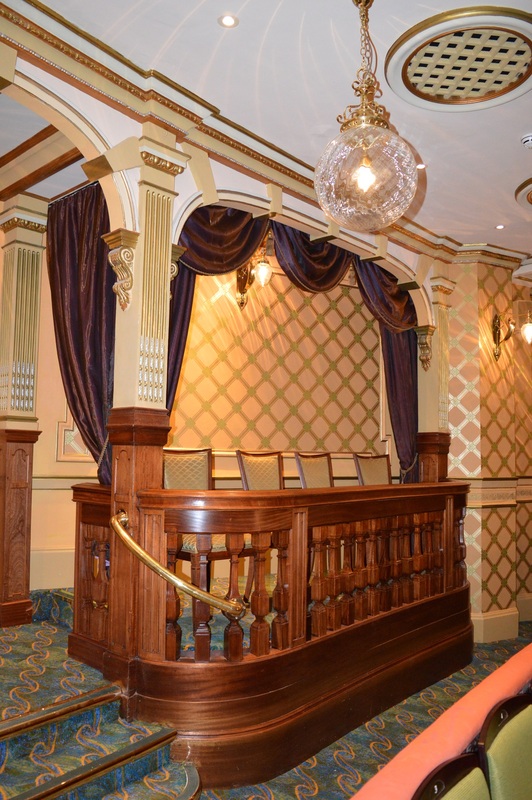 J&C Joel designed, manufactured and installed a series of ornate and decorative swags and curtains together with custom trimmings, including tassels and rope, throughout the theatre building. 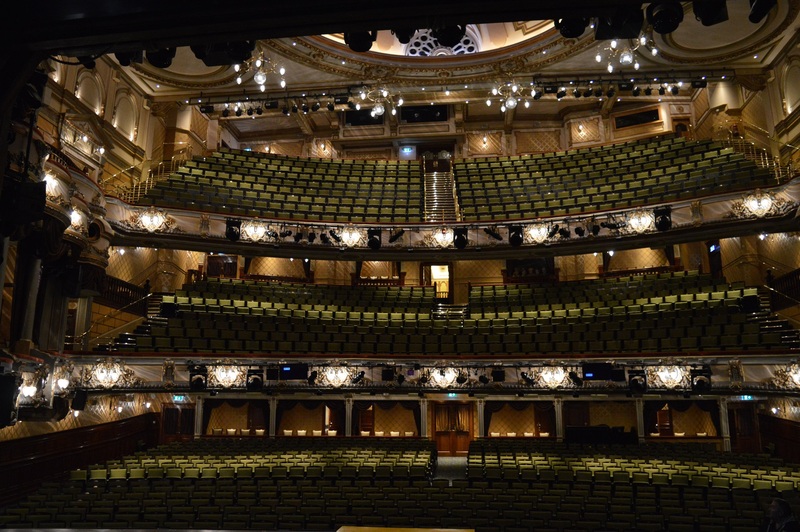 The brief was to ensure these met the requirements of leading theatre interior designer Clare Ferriby and Sir Cameron Mackintosh, owner of and driving force behind the renovation of the Victoria Palace. 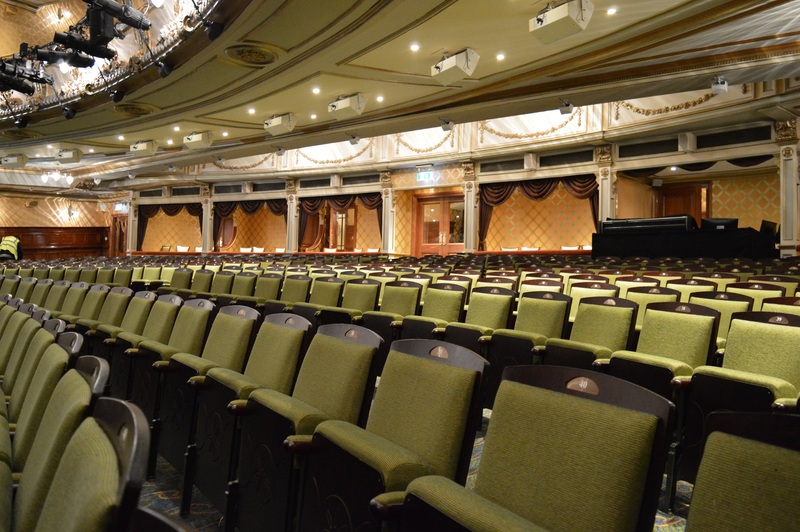 In total there were 61 different areas within the auditorium which required drapery which was made up of 66 swags, 66 curtains and 6 door window curtains. 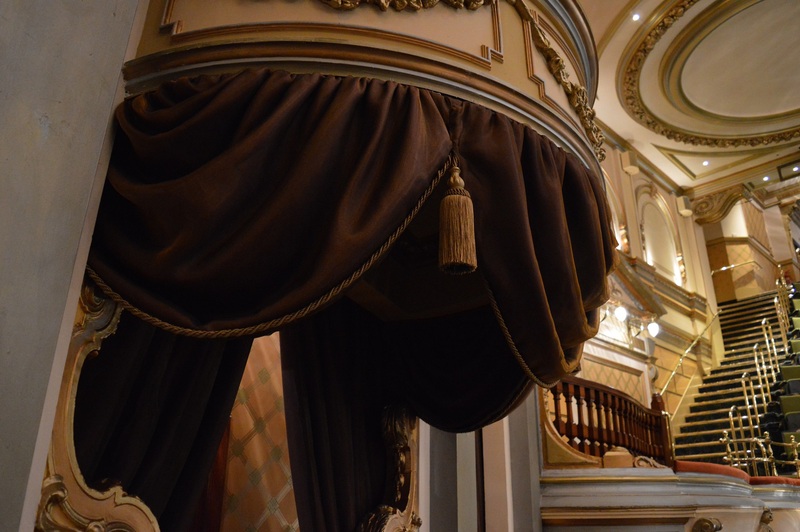 The drapes were all made from at least three layers of fabric including custom dyed Rishworth Velvet (VEL450), Copper Brilliant Organza (BRI001) and Damson Brilliant Organza (BRI002). All swags were finished with custom designed and dyed gold rope with different diameters for different areas, tie backs which had custom designed moulds painted to a specific RAL colour with custom-made tassels in the same shade of gold. Certain curtains were also hung on bespoke burnished brass poles with intricate finials. The main challenge for the project overall was the requirement to design, draw and get approval on a huge amount of drapery before the building was complete. Many of the spaces such as the boxes were undergoing refurbishment or new doorways were being built, so, access to these areas was limited until extremely late in the day. The knock-on effect was that we had a short window in which to measure, redesign, redraw, receive approval and manufacture the drapes. 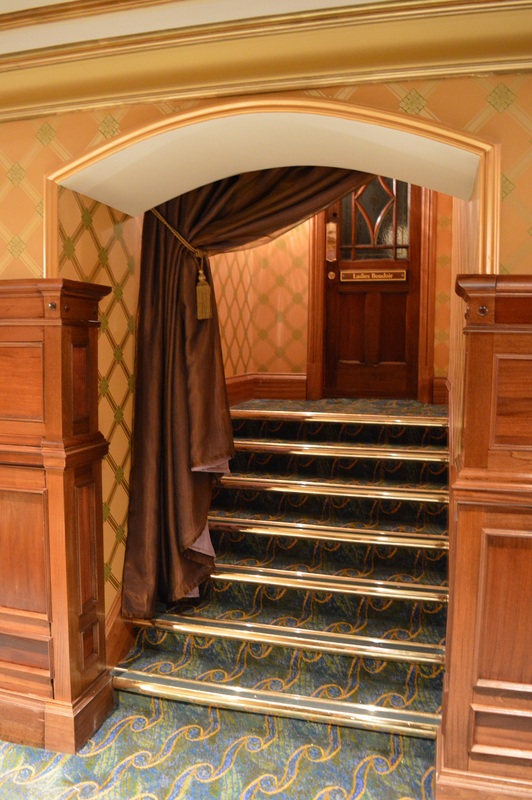 We overcame these issues by utilising our highly skilled creative manufacturing team who worked tirelessly to ensure all drapes were completed on time and then packed into custom boxes to preserve the drapes whilst being transported to site. Due to there being so little time between completion of installation and the opening night, the drapes had to arrive in pristine condition. There was also a knock-on effect on the installation, which was completed over three visits. The first two visits were to install the many batten fixes, including custom boxes to allow for the swags and legs to be fixed at the same level but behind on another whilst at the same time hiding the batten completely. These were completed in advance of the drapes being installed. The third and final visit was to install and, crucially, dress all of the drapery. 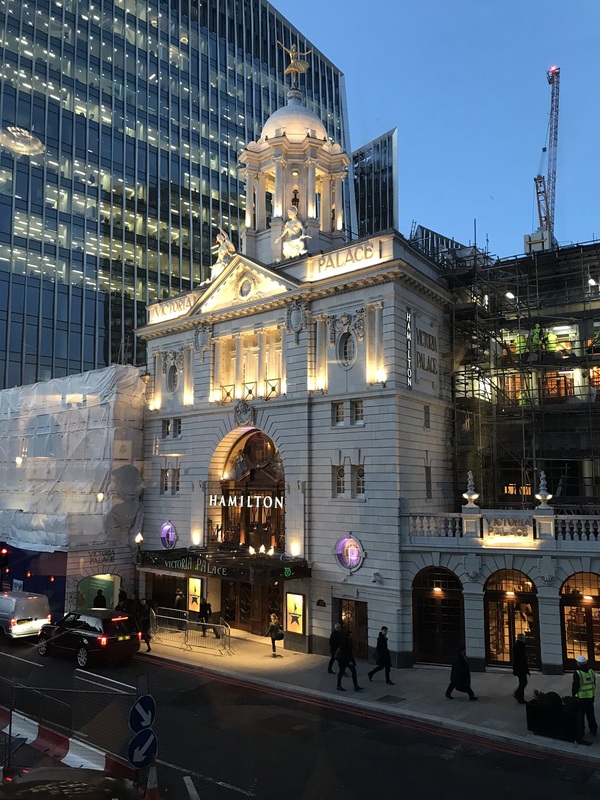 The final installation took place over two weeks working through the night due to the technical rehearsals of Hamilton taking place during the day. The installation was challenging with a four-person crew working relentlessly to ensure the venue was looking immaculate in time for the opening night. 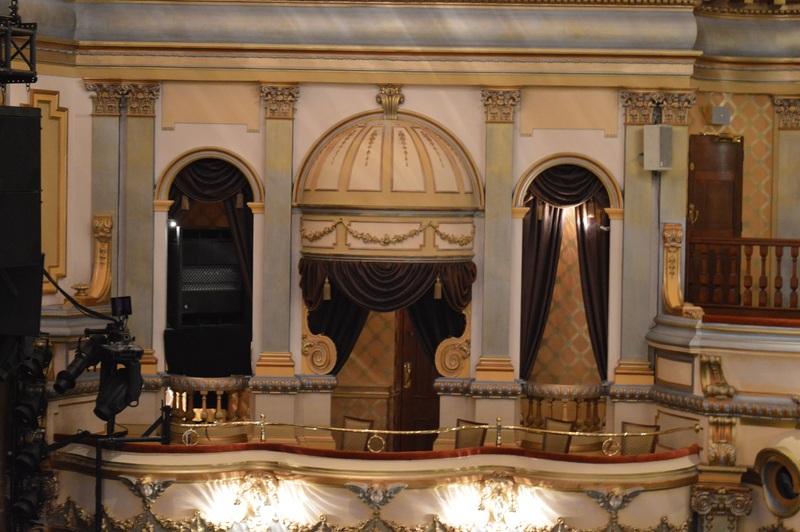 The theatre was purchased and refurbished by Sir Cameron Mackintosh specifically to house record breaking American musical Hamilton. 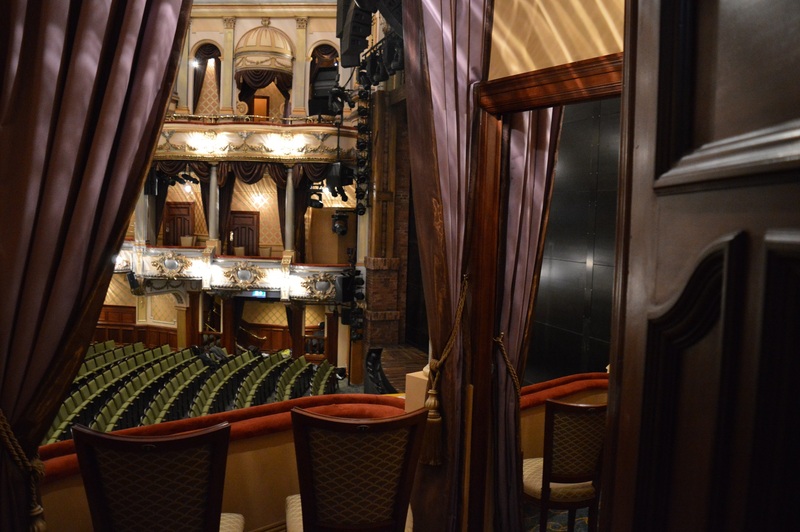 The £50m refurb restored the venue beyond its former glory and is now the jewel in the crown of the West End. It is arguably the most prestigious renovation in years and is a positive signal for the industry that musical theatre is alive and kicking.